Please help us to promote, encourage, and support Canadian writers. Please consider our recurring giving options by selecting the Monthly or Quarterly frequency above. This is an easy way to give manageable amounts that help fund our important literary programs. If at any time you would like to stop your recurring donation, or increase or decrease the amount, just contact us. Please select a program from the list below to direct your donation to. Would you like to receive the Writers' Trust's quarterly eNewsletter? Yes! 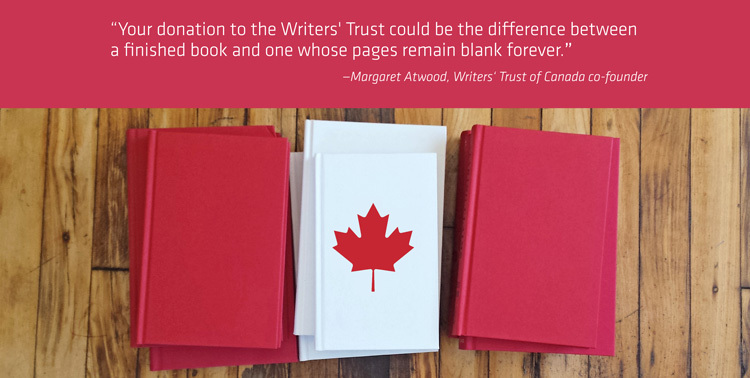 I would like to receive updates on the Writers' Trust and Canadian authors. How would you prefer to be acknowledged for your donation?